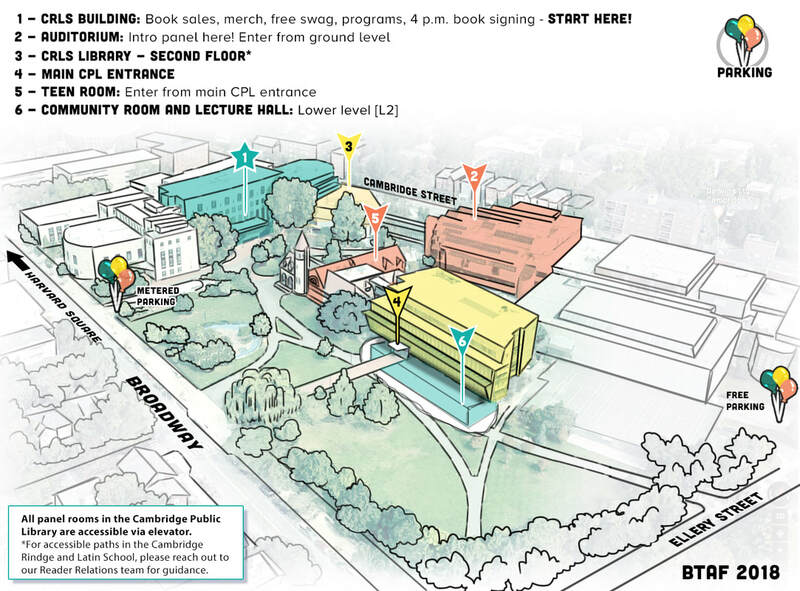 Our goal is to make attending the Boston Teen Author Festival as easy and stress-free as possible! Check out the resources below to help you plan out your day. Still have questions? Pop on over to our FAQ page! If there's anything you're still unsure about we're happy to answer your questions by email. Please note that parking here is limited. There will also be parking this year in the CRLS garage on Ellery Street, to the right of the library if you're facing it! 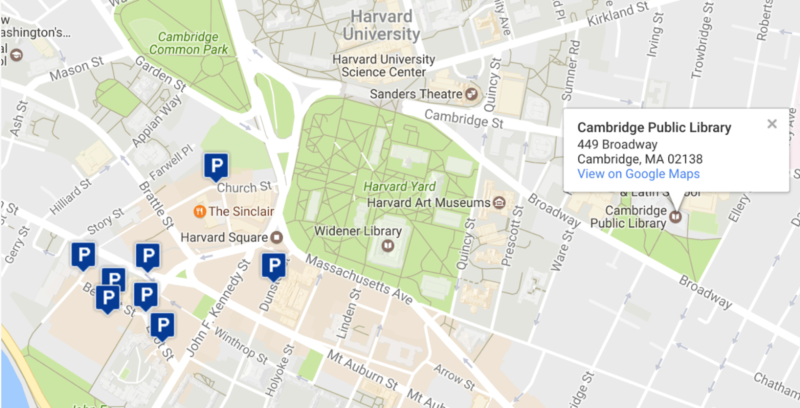 If you wish to park outside of Boston and Cambridge and take the subway in, the closest T station is the Harvard Square T stop off the Red Line. While BTAF cannot provide its attendees with lunch, there are some delicious options in the area to grab a bite. Please keep in mind that the all food and drinks must be consumed outside the panel rooms.